Y Millz Bronx New York USA, is an inspired and prolific artist that hails from the hood right where Hip Hop originated. 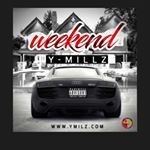 According to Y Millz, "It's all about my fans participation and ultimate satisfaction." Y Millz, projects his energy on the stage hyping the audience sometimes even cracking cool jokes in between songs. He brings his own original style which incorporates smooth lyrics with an energetic presentation and unique flow and innovative beats. His parents came to the state from Honduras. The young artist draws fans from everyday life experiences leveraging his multi cultural background and Spanish heritage so that many listeners can relate and react . "#RespectMyGrind3 is now available to download on iTunes. In the meantime Y Millz, offers you some original music on iTunes, Apple Music Google Music and all the major online music distributors.